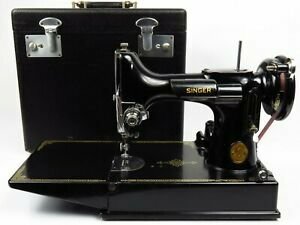 Brand New Here--Do you have a Singer Featherweight 221? Would you like to learn more about this perfect portable machine and how to keep it in good working condition? If the answer is yes, then you’ll want to attend our first Featherweight function on Friday, May 10th at 6:00. Bring your machine and Doug will walk us through the basic maintenance techniques. You will learn how to care for your featherweight so it can sew up some fun projects as we plan regular meetings--mark your calendars and get signed up!! No charge for this first gathering! !